Aj from the ProSource of Cranberry won our raffle. He picked up his Black Chevy Cruze. Aj is giving the new car to his wife. 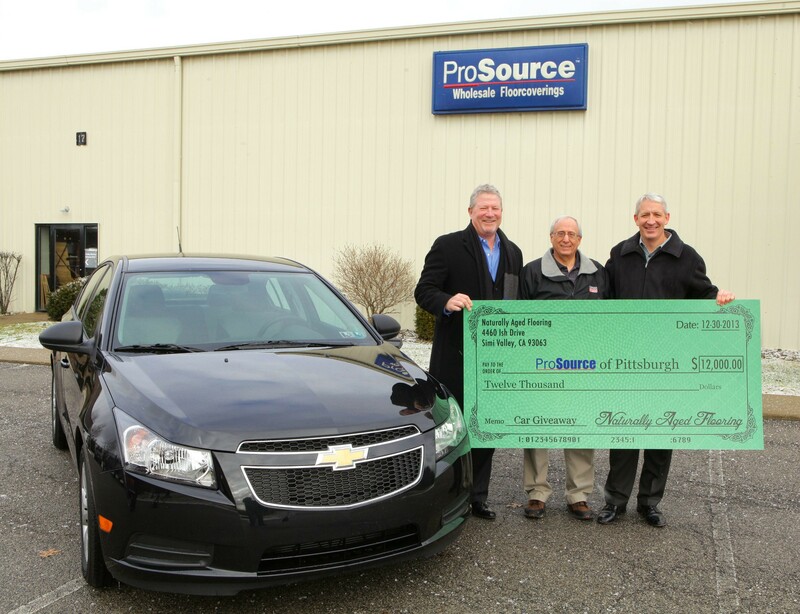 Tom Murray is the owner of that ProSource. Their family has decided to take the $12,000 cash instead of the car and donate it all to a local mission in Homestead, PA which is a small town on the outskirts of the city of Pittsburgh, called Eighth Avenue Place. This mission was started a few years ago by a young pastor from their church to help those in need. Homestead is an old steel mill town that never rebounded from when the mills closed down in Pittsburgh.